Hand2Hand was organized in 2008 in West Michigan to partner churches with schools to supply nutritious food in backpacks for children at risk of going hungry over the weekend during the school year. Sparta Church of the Nazarene is partnering with Ridgeview Elementary this fall to provide these weekend backpacks. These backpacks are delivered to the school every week so that the children can take them home after school on Fridays. There is a great need right here in our own community. Today over half of public school students in this country are from low income families. Over 16 million children in America experience hunger on a daily basis. The need is great and Hand2Hand has proven to be a simple yet impactful program that puts food directly into the hands of children so that they can learn and have a greater opportunity to excel academically, physically, socially, and emotionally. Although we live in a country that is blessed with food and resources, children are still going hungry. Hand2Hand seeks to deliver food directly to the student’s hands so they are fed and can learn. Our hope is that the cycle of poverty is broken as they can concentrate, learn, and excel in school. Being fed is necessary for children to reach their full potential. An amazing benefit of Hand2Hand is that children also experience joy as they are blessed each week with a bag of food to take home for the weekend, knowing that people in their community care. 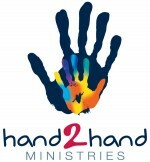 Hand2Hand is a simple and effective organization that impacts children in a profound way. Sparta Church of the Nazarene has partnered with Ridgeview Elementary to supply these weekend backpacks of food for lower income families. Feeding one child for the entire school year on the weekends costs approximately $200. Please consider sponsoring a child and joining us as we provide hope, food and prayers for our Sparta community children. We will email you the first name of the child(ren) you are sponsoring so you can pray for them by name. 100% of donations will go toward feeding the children. Donations are tax deductible. We are so grateful for your support because a hungry child hurts. Lists of food items are listed below. These items can be dropped off at the church office (located at 665 13-Mile Road, NW) Monday through Thursday, 9 a.m. - 4:00 p.m. or during worship service times on Sunday mornings 9:15 - 12:00 or Wednesday evenings 6:30 - 8:30. The Sparta Carnegie Township Library (located at 80 N. Union Street) has also offered to be a drop off location for donations during operating hours: Monday through Wednesday, 9 a.m. - 8 p.m.; Friday, 9 a.m. - 5 p.m.; or Saturday, 9 a.m. - 1 p.m.
Monetary donations to purchase food are also welcome either by drop-off or mailed directly to Sparta Nazarene. 100% of donations will be used to purchase the food to go in the backpacks. Please join us in feeding our community children at risk, because a hungry child hurts. This is a solvable problem. Individual size bags of cookies and crackers etc.